TVS Motors India Limited, Chennai based two-wheeler manufacturer, has recently announced an innovative scheme for the Indian bike lovers, who are making mind to purchase the new TVS Star City, Star Sport and TVS Jive motorcycles in this festival season from the country's third largest two-wheeler manufacturer and they will surely get free new Micromax mobile phone worth Rs. 2000 with every purchase motorcycle. All the entry-level segments bike s are giving extremely well performance in the country and getting excellent attention from the auto market. TVS Motors flagship model, TVS Star City is offering excellent mileage of above 70 kmpl in city and the fuel tank of this bike is around 16kmpl with 2.5litre in reserve. It has equipped with great features to make it best performer in the auto market like 4Stroke, AirCooled mechine. The powertrain of this bike is generating maximum power output of 7.5Bhp at 7500 rpm and produces peak torque of 7.5Bhp at 5500rpm. It is priced at Rs. 93,245/-. (ex-showroom.Delhi). The TVS Star City comes with alloy wheels and kick star option. 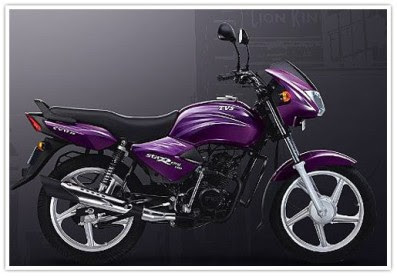 The sport variant of TVS Star is also offering wonderful attention from bike lovers. It is also available with affordable price tag at Rs. 35,227(ex-showroom,Delhi). India's first auto-clutch motorcycle, TVS Jive, which has recently been launched in the country with affordable price tag of Rs. 41,000(ex-showroom,Delhi). It is powered by 109.7cc, 4 Stroke, Single Cylinder, Aircooled engine. It is additionally packed with electric and kick start option. It is generating maximum power of 6.18KW(8.4BHP) at 7500RPM and maximum output of 8.3Nm torque at 5500rpm.It is incorporated with four speed automatic transmission system. 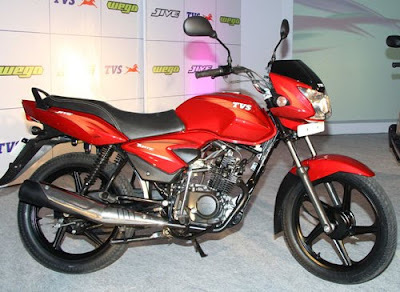 The new TVS Jive is giving excellent mileage of 65kmpl in the Indian streets. It is also fitted with 15litre fuel tank capacity with 1.5litres reserve. On the other hand, TVS Rockz, TVS Streak hybrid and TVS Apache 220 coming soon in India. Worth getting this one not only for the gifts but for reasons like price, model, look and other features.